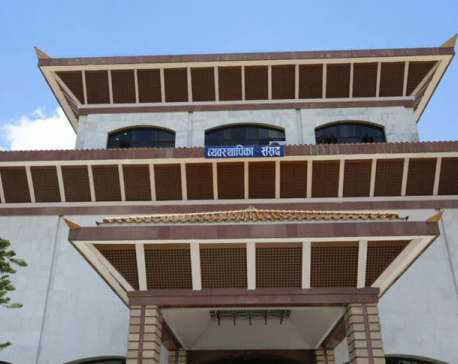 KATHMANDU, Aug 29: The government has registered a new bill in parliament to regulate social security allowances, barring pensioners from claiming such allowance. Though pensioners were disqualified for the allowances by regulations previously, many pensioners were taking double benefit due to legal vacuum. The Bill to Provision Social Security has also provisioned that if any pensioner is found enjoying social security allowances, s/he will have to return the money received from the state coffers and would have to pay double the amount in fine. The bill has disqualified persons receiving government pensions, those appointed to public posts and those with regular employment from receiving any social security allowance. The bill registered to execute the fundamental rights as mentioned in the constitution states that local units should honor anyone who is eligible for social security allowances but decides to relinquish such allowance. The proposed law has also provisioned that birth registration certificate should be submitted to the authorities while applying for social security allowances. Elderly citizens, financially-deprived persons, people with disabilities or destitute, single women above 60 years, children, persons who cannot live on their own and citizens from endangered communities will be eligible for various social security allowances. However, the bill has not fixed the minimum age for the elderly to receive the old age allowance. The government has been distributing elderly allowances to the citizens above 70 years, so far. 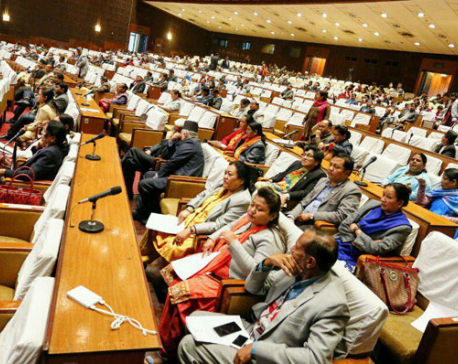 The bill has enlisted Kusunda, Raute, Hayu, Kisan, Meche, Bankariya, Surel, Raji, Lopcha and Kushawadiya as communities on the verge of extinction and eligible for the allowance. With a view to legally settle the dispute between the center and local units over the distribution of social security allowances, the bill has proposed barring distribution of social security allowance from the resources of local units so that there is no duplication of the program. But the bill has fixed the local units as the authority to distribute social security allowances and maintain and update records of persons eligible for such allowances.